Jeff For Banks: Bankers: What Is Your High Definition Destination? Bankers: What Is Your High Definition Destination? Future Picture: "A high-definition picture that shows in great detail the future as you want it to be." Future Picture and its definition are from James D. Murphy's ("Murph") 2006 tome, Flawless Execution. I liked it so much, I e-mailed Murph at his consulting firm, Afterburner, for permission to quote from it. Murph and his colleague, Will Duke, called me back. Since the 2006 book, their thought process has evolved. They created a more versatile version of Future Picture, one that can be applied to multiple industries with greater precision. 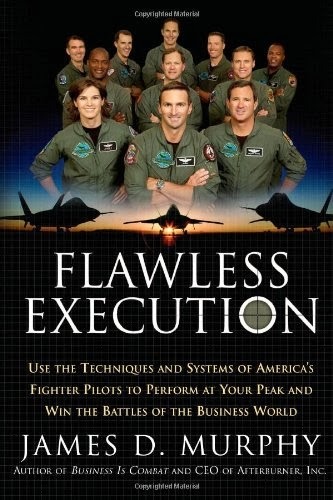 They termed it High Definition Destination ("HDD") in their as-yet to be released book, Courage to Execute.
" A HDD should be so described as to provide a beacon-like objective that drives the entire organization forward. It should be clear and simple, yet high-definition." In other words, Future Picture, and it's successor HDD, describe in vivid detail the organization you want to be. So vivid, in fact, that all levels of the organization know it, understand it, and can describe it in less than five minutes. I discussed with Will and Murph our industry's vision problem. 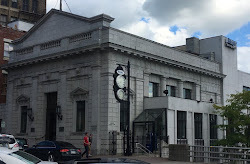 Many if not most of our banks date back many generations, in simpler times when we had one branch that did all things banking to an entire town. Competition was limited and sometimes non-existent. So our vision started as something like this... Schmidlap National Bank. We're a bank. To the town of Schmidlap. Now things are more complex. We are in dozens if not hundreds of communities. Our products sometimes number in the hundreds. We compete with financial institutions that are located within those communities and outside of them. We don't just compete with banks, but also with credit unions (and vice versa), insurance companies, brokerage companies, virtual banks, and non-bank financial intermediaries. Yet our vision has evolved to something like this: Schmidlap National Bank. We're a bank. But not just in Schmidlap. "Our vision is for [bank name] to build value by employing those human, financial and technological resources which will enable and insure its expansion, prosperity, and reputation for superior quality, performance and value returned to the communities, customers, team members and investors it serves." How about that for a High Definition Destination? There's gotta be a yadda yadda yadda in there somewhere. Does this vision statement read like yours? Even a little bit? Does your vision provide that vivid picture where all employees know your HDD and make decisions and develop tactics to achieve it? As Murph told me on the phone call, general vision gets general execution. Executing to achieve some general HDD promotes wasted effort. And minimizing wasted effort is critical to flawless execution. So tell me, how specific is your vision? Do you have an HDD?